As far as I was concerned, bluegrass music was not appropriate for college ears. I mean, they wore ties and hats. 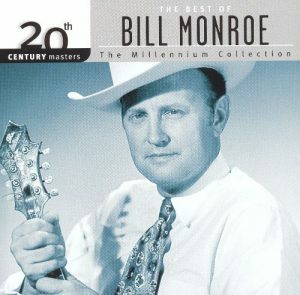 Granted, the ties were thin, but no one mistook Bill Monroe for Elvis Costello. near our apartment in Boston, a music store opened, Wood and Strings, which appears to be a going concern still. They were near the bus stop and it was a cool place to hang out. I had a guitar and took lessons. A mandolin and an auto-harp joined our household. Thanks to Rounder Records and the general vibe of the area and the times, folk music was doing well. My future wife knew that Monroe was a master of the mandolin and he happened to be coming to one of the nearby towns. For the founding father of a fantastic form of music, he played everywhere. I knew enough to respect that then almost as much as I do now. He didn’t have many years left at that point, but Monroe put on a fantastic show. I continue to find something amazing about the lineup of a bluegrass band- the way all the musicians usually stand in a straight line at the front of the stage. There is no standing behind anyone else. Your voice and your ability are fully on display- truly your heart is out there. Much of the artifice of production and self-promotion falls away and the song and the musicians remain. You’ve Got to Check This Out is a blog series about music, words, and all sorts of artistic matters. It started with an explanation. 65 more to go.